Zippo's Mr Good Bar is a noted sire of pleasure champions. 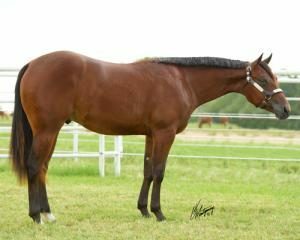 He is a Hall of Fame stallion and sire of numerous world and congress champions.. Katarina Star is a Multiple ROM Pleasure Producer whose get also went on to be Multiple All Around and Circut Champions. 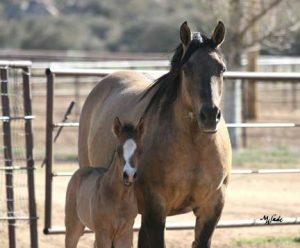 Her foals when sold at public auctions such as the Congress and Reichert sales, have consistanly been among the High Sellers! Blazing Impulsive is sired by the noted sire and winner Blazing Hot. 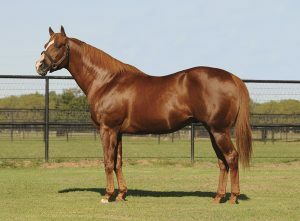 Blazing Hot is a leading sire and sire of winners in excess of 25,000 points and 3 million dollars. 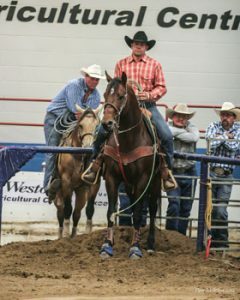 He is also the only horse in AQHA history to win both the pleasure and western riding event at the same world show. Impulsive Love is a superior pleasure horse sired by the noted sire Impulsions. Impulsive Love's dam RD Red Hot Lover was listed as the #1 broodmare in the Nation at one time. 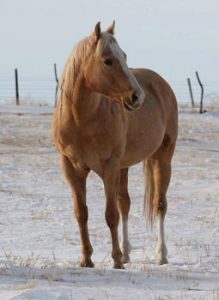 Impulsive Love is a full sister to Red Hot Impulse, Impulsive Hobby and Impulse of Love ...all superior pleasure horses. 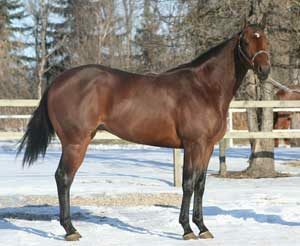 Blazing Impulsive is the sire to the 2018 Manitoba Superhorse winner of $10.000 and the 4th place winner as well. 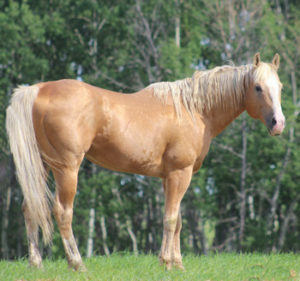 He is also the sire to Canadian National AQHA champions. 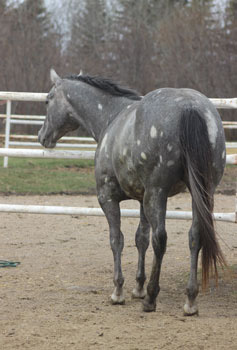 Super pretty, super balanced, good moving athletic horse with a nice mind. We are excited to see what the future holds for his offspring. 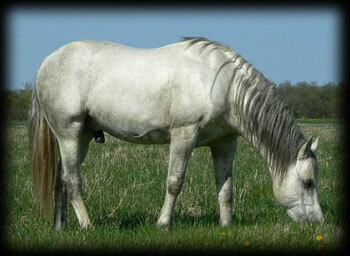 -Gallo Del Cielo is a full brother to noted sires Grays Starlight and Paddy's Irish Whiskey. Shazoom SI 102 is a stakes winner earning nearly $180,000. 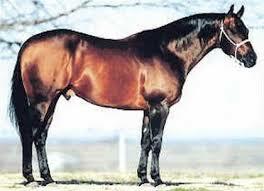 He is a leading sire of over 595 ROM earners and over $17,000.000 stakes winners. Mexican Secret has a SI of 103 and of her three foals eligible to race one has a SI of 105. Her sire Jody O Toole has a SI of 106. SECRET ZOOM is bred to run but in addition to this he is a good looking individual with a good mind. We look forward to showing him off and breeding him to our working bred mares for future arena horses that look good, are athletic and have great trainable minds. 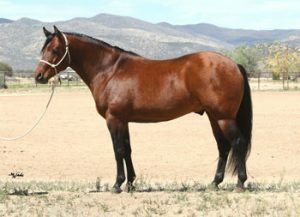 Sire: CHASIN FIREWATER-(Fire Water Flit x Has The Touch by Bugs Alive In 75) $34,369. 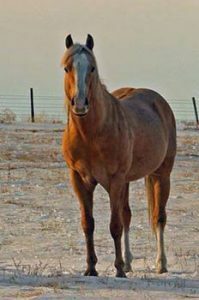 AQHA IF money earner and ROM; 2005 Sunrise Breeders Barrel Fut 5YO & Under OP money earner; 2006 PHBA JR Pole Bending and JR Barrels World Champ; 2006 Running On Faith WPRA Fut 6YO & Under OP finalist; 2008 PHBA Senior Barrels World Champ; 2011 WPRA Texas Rodeo Houston OP Co-Rsrv Champ. Ran at the 2011 NFR with Jill Moody. 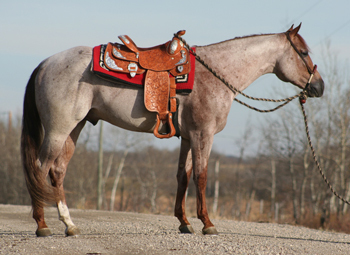 FIRE WATER FLIT: AQHA Racing money earner and ROM. 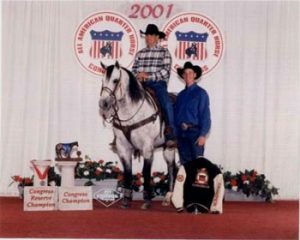 He is a leading Equi-Stat barrel horse sire with offspring earnings in excess of $2,300,000 and AQHA total combined points of 1,798 with 2 AQHA World Championship titles, 45 Performance ROM awards and 9 Superior Performance awards. Dam: MS FUEL CHIC - double bred Oklahoma Fuel. 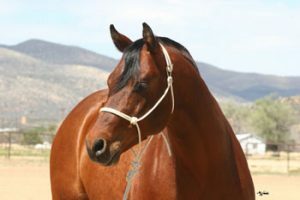 Oklahoma Fuel has a 108 speed index is a stakes winner and track record holder, and holds official AAA ratings at all seven AQHA track distances. 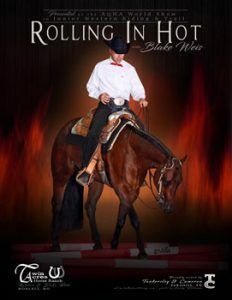 and is the sire to 201 race starters, 94 winners, 3 stakes winners, 4 superior race awards, 98 ROMs, 80 2yo ROMs, 29 90+ ROMs, 5 100+ ROMs as well as numerous arena horses in the barrel pen and the roping pen. Including 6x PRCA head horse...Oklahoma Top Hat. 12 world titles in heading and heeling over 9 consecutive years. Sabres Blue N True is the sire to the 2017 Manitoba Rope Horse winner on the Head Side and the sire to dams of other entrants in this futurity.